To be very clear, the creation of a database of minority-status identity groups is the move of certain Social Justice Warriors within the SBC who have been enamored with the recent promotion of Rauschenbuschism by Southern Baptist entities, but the database creation is not an official move of any SBC entity in particular. 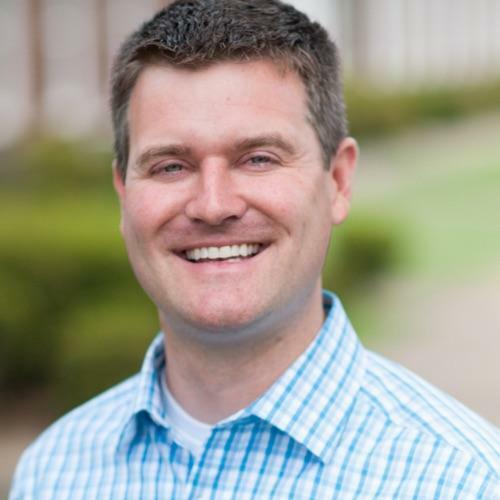 Rather, the new Affirmative Action tool is the creation of Southern Baptist pastor Brent Hobbes and leftist-progressive professor and Critical Race Theorist, Alan Cross. Following on the heels of the MLK50 event co-hosted by the SBC’s Ethics and Religious Liberty Commission, the creation of a “Department of Kingdom Diversity” at Southeastern Baptists Theological Seminary (which has most recently promoted the material of the father of Black Liberation Theology, James Cone, and hosted a “Malcom X Read-In” on campus), the two Southern Baptist bloggers decided to create a database to keep track of those identifying with minority groups and to assist their promotion to denominational appointment based upon the color of their skin, rather than the content of their character (or theology). The SBC Leadership Diversity Initiative is designed to be a networking tool that helps open channels of communication within our convention. We are receiving nominations of ethnic minority leaders and women who may be available, interested, and willing to serve the SBC in leadership capacities – committees, boards, elected roles. We will compile the names of those submitted, along with some basic information, and make that available to anyone responsible for nominating or appointing these leadership positions. Marxist Intersectionality seems to play a role in the decision to create the database, as women – as well as minority ethnicities – are the anticipated recipients of this program. Intersectionality was originally an idea of the Radical Feminist Movement but has been co-opted by Black Liberation Theologians under the broader spectrum of Cultural Marxism, to promote victimology and the perpetual identification of individuals collectively as the oppressed. We want to open the floodgates and remove as many barriers as possible to achieve our goal: A convention where ethnic minority leaders and members, as well as Southern Baptist women, know they are valued and considered an indispensable, integral part of our denominational life together. Will you help us build our network? Do you know of SBC pastors or leaders who are willing to serve our convention? All you have to do is fill out our short nomination form and click submit. You can click here or on the image below to visit the nomination form. The form asks the question regarding the applicants ethnic status. 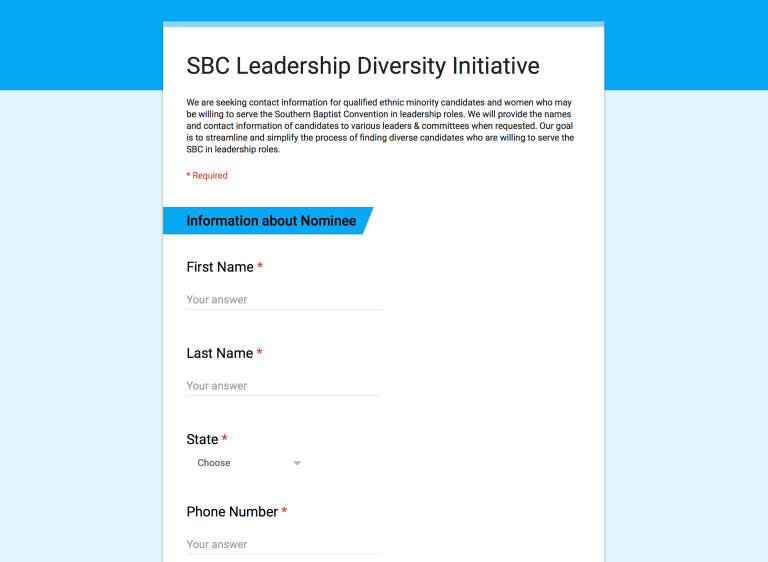 The form will then be forwarded to nominating committees to make it easier for SBC committees to appoint “underrepresented” gender and ethnic identity groups. Curiously, there is no checkbox for Jew, Gentile, circumcised, uncircumcised, Sythian, Slave, or Freeman (Colossians 3:11). This is precisely the opposite of how we are told to consider one another in the Sacred Writ. The is precisely the same as we are told to consider one another in a Marxist worldview. These men need to read their Bible and stop being carried to and fro by the spirit of our age.